In this wise and charming book, Lawrence Weinstein explores how self-expression reveals the psyche and how changing language can change lives. 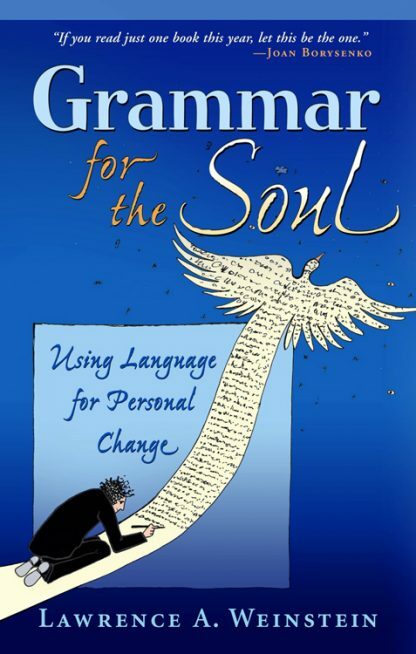 In chapters like �Tolerating Ambiguity� and �Getting Out of One�s Own Way,� he describes how the proper use of an element of punctuation or syntax, even the simple reversal of an object and subject, can help one become a whole human being. Clear examples, amusing anecdotes, and telling quotes support Weinstein's technique for teaching self-improvement through improved grammar. From 1973 to 1983, Lawrence Weinstein taught at Harvard University, where he was in charge of the course "Expository Writing, Theory and Practice" and co-founded Harvard's Writing Center. Since 1983, he has been a member of the English Department of Bentley College in Waltham, Massachusetts. In 2001, the National Council of Teachers of English published his Writing at the Threshold, a book on writing instruction at the high school and college levels which has remained an NCTE bestseller ever since. In addition, Weinstein has written several full-length plays. One, "New Curtains for Macbeth", was produced in 2003 by the Lyric Stage Company of Boston, and was named a finalist at the International Playwriting Festival in the UK. Another, "The La Vidas' Landlord", will receive its world premiere at Theatre 3 in Dallas in March 2008.